All I had for a year of music was my iPod shuffle from 2007. It’s a 2nd generation shuffle that just has a large play button off-center on the front and doesn’t work with the fancy new headphones that can advance a song. Mine is green, which earned it the nickname Kermit, and has “you go girl” inscribed on the back – it was a gift from my aunt. It holds 154 songs. 154 songs for a year. Imagine how hard it was to pick those songs. At home I had gotten used to Spotify, where I had the majority of the songs in the world at my fingertips; where I didn’t have to curate playlists, I just subscribed to other people’s; and when I got tired of the music I’d repeatedly listened to I could find something new in a second. I went from endless music options to the restriction of having to own music in my iTunes to put onto the shuffle. That’s right, I had to download and possess this music. It took a solid half a day before I left to even select the songs I wanted in my iTunes on my new computer. My old Macbook had somewhere around 6,000 songs to choose from, plus I downloaded some new ones I didn’t want to live without (since my iTunes was a few years out of date thanks to the advent of Spotify). I carefully selected 268 to load onto my Lenovo. This meant that even once fully loaded, Kermit could not hold all the songs I had in my library. All whopping 268 of them. So it was a random 57% of my songs that ended up on Kermit. Along the way I picked up an additional 53 songs from Alex in Buenos Aires, who had just done a DJ set there, which brought my grand total to 321 songs and, more importantly, provided me with some new options. Now when I reloaded Kermit it was a total guessing game what 48% of my music I would get to listen to on the go. How did this work out for me? Brilliantly. Despite the limitations and my wide range of music taste, I was able to assemble a playlist that covered all moods and genres. Kermit came through for me in every situation, from long contemplative bus rides to energetic city walks. And most importantly, I was never worried about my music device being stolen. Coming from the land of iPhone theft – I had 3 iPhones stolen in a year and a half in San Francisco – I was worried about carrying around such an expensive, tempting device just to play some music. But with the shuffle, not only was it discreet in size and clipped to me at all times, it was so old that no one would want to take it even if they could get to it. Not to say that I’m not happy to have Spotify back in my life – understandably I need a break from those 321 songs – but when I do find myself in areas devoid of service (which happens frequently in Vermont) I gladly bring Kermit out of retirement. He won’t be retired long anyway, I fully plan to bring Kermit along for the next ride. One of the questions I’ve been asked most is, “How was your budget?” Often this is prefaced by, “I don’t want to be nosy” or “I hope it’s not inappropriate but I’m really curious.” Because of this, I’ve debated how transparent I want to be about my budget; money is always a little uncomfortable for people to talk about. But in the interest of other RTW travelers everywhere, I’ve decided what the hell, here it is. I budgeted $30,000 for the trip, with $5000 marked as my “Go Home Now” money (flight home plus 2 months to figure out what to do next). That left me with $25,000 to spend. I divided my trip into three segments – South America, Australasia, Asia – and allotted the same amount of money to each, taking into account both time and potential costs of the regions. Three months in South America should be about the same as two months in Australasia and four months in Asia. Therefore each leg got an even $8000. I told myself each had $6000. I preferred to lie to myself to keep my budget in check, aiming low but knowing that I had a little wiggle room, and it seems to have worked. I came home under budget. Most people are pretty surprised I was able to travel for so long for less than $20,000. Plus I did everything I wanted to do – skydiving, scuba diving, Salt Flats tour, Whitsundays boat, two tattoos, etc. These things did cost a decent chunk of change but I found ways to save elsewhere, making it possible to really experience more of the world instead of just hanging in a hostel barely getting by. In fact, in the breakdown of where most of my money went, the activities section comes in second, followed by food in third, and accommodation in fourth. So where did most of it go? Transportation costs. If it wasn’t for the planes, trains, and automobiles I would have done the trip for just over $10,000, but then I also wouldn’t have gotten anywhere. Flights around Brazil were a major contributor – hence the decision to move around only by bus for the rest of South America – as well as international ones. How did I end up under budget? There are a few reasons. First, incredibly helpful, generous people, who happened be in some of the more expensive places I went to. I stayed for free at a friend of a friend’s in Sydney for 6 nights, and again with a family friend in Singapore; I lucked out in New Zealand twice with an amazing couchsurfing host in Christchurch and a friend who gave me the rest of her Naked Bus pass to use for free, which is how I got back up to Auckland from Queenstown; I can’t even begin to describe the generosity of my family who was with me in Vietnam; and the wonderful Christmas gifts from family that helped cover some of Ko Phi Phi and Bali. The other two main money savers were cheap food and sleeping on transportation. In a lot of South America and Southeast Asia it’s possible to get meals for $1-$3. I’ll eat pretty much anything and was happy to try the local street food, and was lucky to not have any stomach issues, so I picked most of my meals based on what cost the least. In New Zealand and Australia I often made food in hostels with other travelers, saving on the expensive costs of eating out there. And I always had granola/muesli or cereal bars with me as a back-up and for food on transportation; I never bought food at a rest stop. All the nights I slept on buses weren’t for my enjoyment, they were ways to save on accommodation. The way I saw it, I had to pay to get between places anyway, so why not sleep on the transportation? It’s not like there’s much else to do that I would be missing out on, and my budget would benefit from a blank spot in the accommodation column. Any time I slept on transportation I saw it as funding my next activity. Sometimes I would arrive pretty tired, but the adrenaline from arriving at a new location was all the caffeine I needed to still make use of the day. The most surprising outcome to me was Australasia. I was terrified of how much that part was going to cost me, but somehow I ended up not just under budget, but under my budget lie. The most challenging part of budgeting was when friends from home joined me. It’s a different kind of travel when it’s not your daily life, and I wanted to make sure they had the vacation they came for while still taking into account my strict monetary concerns. This was hardest during the World Cup in Brazil. For those who came to travel with me for a bit, thank you for understanding my constraints and enduring some less than desirable travel situations to help me out. My reward for being under budget was Japan. None of those numbers include Japan. When I got to Japan I already felt that the trip was done and anything else was bonus. I didn’t entirely ignore the way I had been living, but I didn’t log everything I spent either. In the end, I added up my credit card bill and cash withdrawals to get my Japan spending total of $2476.78 (not including my flight from India to Japan, which was $412.39). For one month in an expensive country during the biggest tourist draw, the cherry blossoms, that’s not so bad really. It brings my total trip cost to $22,398.75. Some things that are not included in this total are visas and pre-trip purchases like gear and immunizations. Those were all paid off when I still had a job or with back-up cash that wasn’t part of my initial $30,000 departure money. I logged every cent I spent in an incredibly detailed spreadsheet – which I got from alittleadrift.com and definitely recommend to other people who want to keep track of their spending – which helped immensely to see where I was in my budget and make decisions about whether or not I could do an activity. If I was under the daily budget for a country, I was more likely to spend the money on something like scuba diving the Similan Islands or a flight to Goa instead of a long bus ride. I based my daily budget per country on BootsnAll’s destination guides, another very helpful resource worth looking into if you’re planning a RTW trip. I’m proud of myself for not just sticking to my budget but actually coming in under budget, and it’s part of the reason I’m so confident that I can travel for another six months. I returned with more money than initially planned, and after three months of working will have replenished my account enough to take off again. Before leaving I had to make a ton of logistical decisions. Never having done a trip like this before, I made educated guesses informed by reading guidebooks and blog posts. At what was originally my halfway point I wrote a mid-trip analysis of how some of my pre-departure decisions were going, so now that I’m back I figured I should write a final analysis on how it all worked out in the end. Honestly, I was pretty spot-on. Perfect. They held up so well through being thrown around on all forms of transportation and a few long walks in the rain (even if the color is a little faded and they’re now rocking the ‘worn’ look). They fit every need I had and by the end of the trip I could pack them in about five minutes; everything had its place. I will never travel with a normal suitcase again. Being able to move around with everything on my back is the best way to travel. I even brought my backpack into NYC instead of a typical overnight bag. And I still use the Fjallraven bag daily – it is just the right size, has just the right pockets (inside a small one for wallet and keys plus a laptop sleeve, outside one for quick access stuff), and I’ll never stop raving about the three ways to wear it (shoulder bag, messenger bag, backpack). The only change I would make for next time is perhaps using a smaller backpack. The main reason for this is airplanes: I would like to be able to fly carry-on (although having a Leatherman with me made that impossible anyway) and budget airlines charge more based on weight, so I never wanted to go over 15 kg. I think I could fit everything into a 40L bag since mine was really never full. However, with the ebb and flow of how much I carried with me, it made sense to have a little extra space for those times when I picked up a few extra things for a short time, like a bulky shawl and a gift in my final days in Japan, or when I had to shove all my stuff into the backpack in Salvador for safety concerns. But any woman who’s looking for a 60L backpack, the Gregory Deva is the best, I highly recommend it. Overall my clothing decisions were pretty good. Even though I became totally sick of them and all the hostel washing machines wore them down and stretched them out, most of my clothes lasted me the whole year. Along the way I did pick up a few things and drop a few things, either sending them home with people who visited or throwing them out. Some things that I should have brought that I picked up along the way: scarf, cardigan, and more underwear. Whoever said you just need a weeks worth of underwear must love washing it in the sink. Yes this is doable, and I did it as well, but when family came to visit in Vietnam and Thailand they all brought me more underwear. Great, I thought, I could throw out the old ones. Nope. I kept them all. Girls underwear is small, I had the room, and it meant I did wash less often (to be honest I only washed my clothes when I was out of underwear). A cardigan was a nice addition just to have another layer that wasn’t an outdoorsy jacket. By the time I got to Southeast Asia it was so hot all the time that I didn’t need heavy jackets, but at night it was nice to have some other layer. A scarf had to be my favorite addition. It was an easy fix when I was slightly cold in a t-shirt or absolutely freezing bundled up in all my layers, and came in handy as a blanket on an overnight bus. Plus it easily fit in my second bag so I always had it on me. In the end though I’m happy I didn’t have everything I needed because now I have souvenirs from all over the place. I didn’t let myself spend precious money on souvenirs, but when I needed cold weather clothes in South America or hot weather clothes in Asia I could justify the minimal amount of money they required. It was a great excuse to pick up some useful things that remind me of the places where I got them. Something I would have brought next time: sneakers instead of hiking boots. Unless you’re planning on doing some serious trekking, consider sneakers instead of boots. I could have done the hikes I did in sneakers and also worn them daily in cities or actually have gone on runs (I like to think not having the proper footwear is the reason I didn’t work out…). For my trip, they would have worked better. I already have a pair I’m planning to bring on my next trip. Something I didn’t use: clothes drying line. It’s so easy and cheap to drop off laundry around the world (except Australia, of course) that I never did end up washing all my clothes in the sink (except the occasional underwear). For $2 all my clothes were washed, folded, and ready for wear in 24 hours, and while that was being done I was out exploring. It was worth it to me. Cameras, great: the Canon G16 was perfect for high quality photos in a reasonably compact camera body, and I used the GoPro even more than I originally thought for adventures both extreme (scuba diving) and daily (rickshaw rides). I can confidently say I documented my trip well and I am exceedingly happy about that. Laptop, great: the Lenovo IdeaPad Yoga 11S was small and portable enough to not feel like a burden but with a full keyboard and ports (USB, card reader) functioned exactly how I needed it to, plus the rotating touch screen was a nice perk when I wanted to watch The Sopranos or prop it up for music (although the speakers are pretty bad). Something I will bring next time: portable hard-drive. While Google Drive totally did work for backing up photos in the cloud (I now have 7 email accounts), I was still paranoid about losing everything and kept almost all my pictures on my camera’s memory card until I got home and could put them on my big external hard-drive. Something I didn’t use: the extra back covers with the openings for the GoPro. I was too worried to ever take off the waterproof back. Also I could probably go without the head mount; the clip mount and a backwards hat worked just fine for the very few times I wanted it on my head. My surprisingly most-used device: my iPhone. I debated whether or not to even bring it, and now it’s one of the things I tell people they should bring with them. It’s a little portable computer, and now with widespread wifi and map apps that don’t even need wifi (maps.me is a traveler’s best friend – it syncs maps to your phone for offline use and can even find you in the most hectic places, like Hanoi) I have to admit it’s incredibly useful. As much as I liked being disconnected, for those times when technology really does help and a laptop is just not as easily accessible, the iPhone was a great addition. I left the States with two books: Don Quixote by Miguel de Cervantes, and Lonely Planet’s South America on a Shoestring. I did not bring a kindle. I knew hostels had book exchanges so I wanted my reading material to come from those; I hoped to discover books that I may not have thought to purchase myself, and, figuring many of them would be left behind by other travelers, ones that were enjoyed by people with similar interests to mine. It worked wonderfully. I read 11 books during the year. Since I only had Don Quixote, in Brazil Bobby gave me one of the books from his traveling library as a back-up, The Satanic Verses by Salman Rushdie. When I finished Don Quixote, a 1000-plus-page feat that took all of South America, I left it behind in my hostel in Buenos Aires and picked up a two small books – a thriller and a German book (ambitious of me) – whose names I forget because I never ended up reading them. Once we got to a hostel in New Zealand with a better option I swapped the thriller for The Pelican Brief by John Grisham. Meanwhile I was reading The Satanic Verses, which I finished and swapped in my Melbourne hostel for The Hunger Games, Part 2 by Suzanne Collins. After the last two serious books I figured I deserved a break, and I had a long flight coming up. I read it cover to cover on that 9-hour entertainment-less flight. In my hostel in Hanoi I swapped it with a girl in my room for Wild: An Elemental Journey by Jay Griffiths, which was left behind in Vientiane for Chelsea Handler’s My Horizontal Life. Meanwhile I had started The Pelican Brief, which I finished in Dreamtime and swapped for Sputnik Sweetheart by Haruki Murakmi. In Dreamtime I also left behind the unread German book for Isabel Allende’s My Invented Country: A Memoir, which I plan on reading this summer. I finished Sputnik Sweetheart in Myanmar and, in my hostel in Inle Lake, swapped it for The Harp in the South by Ruth Park. Another fast read, I was done with it by India, where a girl in our Jaipur hostel gave me Wild, From Lost to Found on the Pacific Coast Trail by Cheryl Strayed. I swapped this in Hampi for another book about finding oneself in the nature of the United States, Into the Wild by John Krakauer. In the meantime I had ditched Chelsea Handler – which I could not finish, it was terrible – and The Harp in the South at our hostel in Goa, where Kwaz gave me Dave Eggers’s The Circle. At this point it was Japan, so I brought that one home with me and instead swapped Into the Wild for The Art of Travel by Alain de Botton in my hostel in Aso, my final book swap. So what this long saga is hoping to convey is how well the book exchange worked. I read books I’ve never heard of as well as books I’ve always wanted to read. I fully plan to travel this way again in the future. As for the guidebooks, I only had the one for South America and Southeast Asia on a Shoestring (which I ordered through Amazon to my aunt, who nicely brought it to me in Vietnam). The rest was planned by advice from other travelers or online research. I don’t plan to bring a guidebook with me on the next trip because I learned that it is easy, and often much preferred, to pick a next location based on hearsay from other backpackers. But that’s not to say I didn’t at times find them extremely helpful – for sightseeing ideas, border crossing information, history of a region, and last-minute hostel options for those times I just showed up in a place with no reservation and no internet connection. So if you’re considering bringing a guidebook I do think they’re a good investment, especially if it’s your first time on a trip like this. I would also recommend treating them as I did – I ripped out the pages of places I wasn’t going to or had already been, often giving them to other travelers who were on their way to that location. It lightened my load quite a bit, even if the books looked totally massacred by the end. I still have the cover of each as a keepsake. Honestly, all good. I got some back-up supplies from my sister when she joined me just after the 6 month mark, which was super helpful – tissues, wet wipes, and cold and flu medicine (which I used up during the time I thought I had dengue fever). Somehow I never ran out of bug spray or sunscreen – probably because I stopped using sunscreen around Australia when sun no longer burned me. I brought all the extra medicines that were recommended and never ended up needing them – Cipro and things like that, tons of Advil I never touched, and I even came back with spare Malaria pills. I also never did have to show my Yellow Fever vaccination card but at least I had it just in case, and that was one less disease to worry about. Better to be safe than sorry. I had Travel Insurance the whole time but never once had to use it. I could view that as a waste of money, but I chose to see it as a solid investment. I think it’s one of those things where if I hadn’t gotten insurance I would have needed it, and if I did get it I wouldn’t need it. I prefer the latter, and that ended up being the case. Plus the reasoning behind getting it proved accurate: I never had to worry about anything I wanted to do while I was traveling. Scuba diving, skydiving, sandboarding, jungle treks, wine country biking – I was covered so I went for it all. Better to be safe than sorry again. So I lived out of a backpack for a year. How did that go? Living out of a backpack is easier than you think. I actually find myself having a hard time with all the extra stuff I have now that I’m back home. 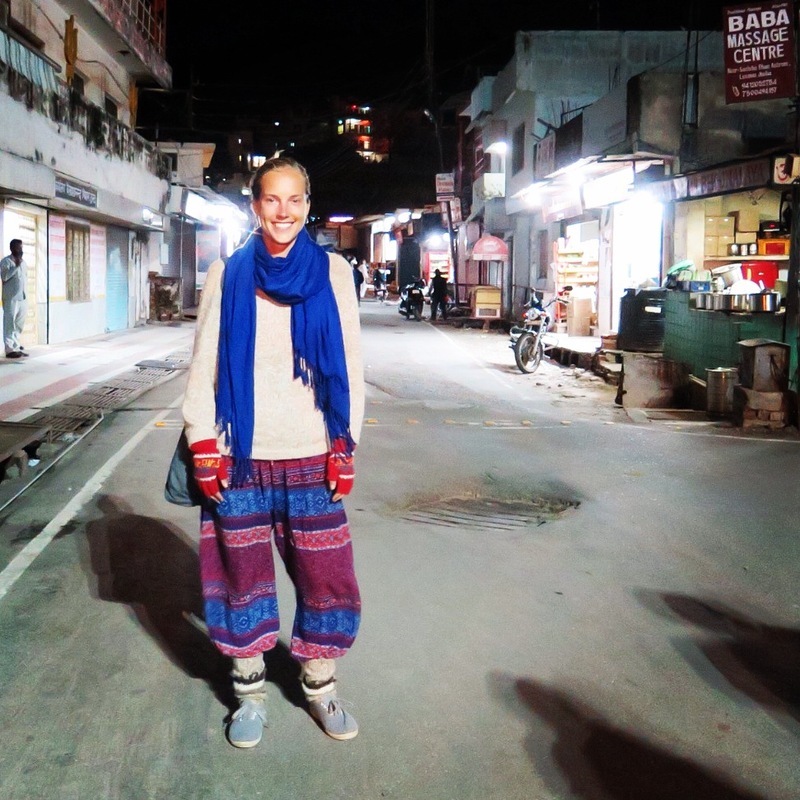 I keep reverting to the clothes that I brought with me on the trip – they feel normal, comfortable, easy. I’m actually hoping to get rid of even more stuff now that I’m back. And now that I know it can be done, packing for the next trip is going to be a cinch. People have more stuff than they ever really need, and experiencing only having a backpack’s worth of possessions was actually freeing. I was totally mobile and prepared to go anywhere in an instant – it felt great.